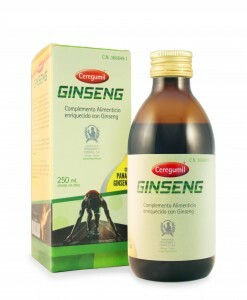 Ceregumil Ginseng, extra energy to get to the end of the day with vitality and vigour. 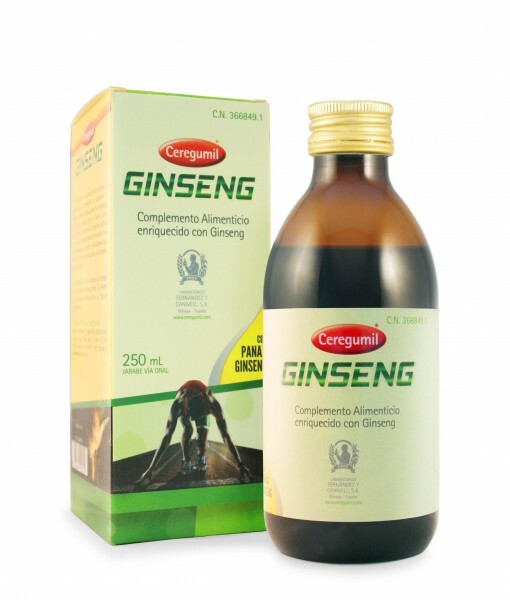 CEREGUMIL GINSENG combines a high-quality ginseng root extract standardised to contain 15% of ginsenosides with Ceregumil’s exclusive cereal and legume extracts. For people suffering from fatigue, people who do sport and people who need to be more active in several aspects of their lives. 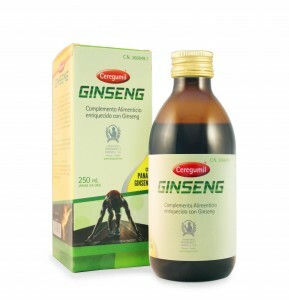 CEREGUMIL GINSENG is a source of extra energy for all of them and provides more vigour. Ginseng roots have always been used in South-East Asian – mainly in China and Korea – as an energising and invigorating substance. It has traditionally been regarded in Asia as an adaptogen; in other words, a substance which strengthens the body’s resistance without altering its natural rhythm. 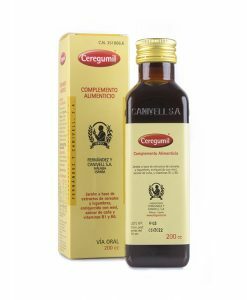 Its formulation as a syrup makes it easier to set the product’s dosage at the consumer’s convenience. 10 ml twice a day. It can be taken on its own, diluted in water, juice, etc. or mixed with food (yogurt, coffee, etc.). 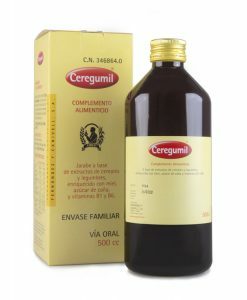 A blend of cereals and legumes (lentil extract [Lens culinaris L.], wheat [Triticum durum d.], beans [Phaseolus vulgaris]), water and ethanol (<5%), ginseng extract, honey, white cane sugar and calcium glycerophosphate.